Registration is restricted to US military, law enforcement, and emergency response personnel. 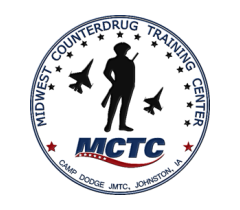 This course is designed to enhance the ability and skills of all attendees to identify, detect, apprehend and successfully articulate the drug trafficker, distributor and the drug impaired person. This includes the DWI or the drugged driver; the calls for service where persons are involved in disturbances; juveniles using drugs on school grounds or domestic violence; it should be used on the confidential informant being utilized in a narcotic investigation and all other enforcement needs where the person or persons are under the influence of a drug. The concept and strategy in this program of instruction uses the structured, in depth coverage of the 8 drug categories, to include the Drug Abuse Recognition (DAR) system and other advanced techniques as a means of legally apprehending the drug manufacturer, distributor and specifically the user. All students must academically pass a written test with a 70% or 81 points out of 115 possible points to successfully complete the course. Patrol Officers Response to Street Drugs is a 4 Day (40 hour) course.